Located on the Vincentine Promontory, the region traditionally known by the people of the Algarve as Cabo (the Cape), the Ponta de Sagres, on which the Fortress stands, is an imposing platform of compact limestone from the Jurassic age that sweeps down to the Ocean in vertical, rocky cliffs some 40 metres high. 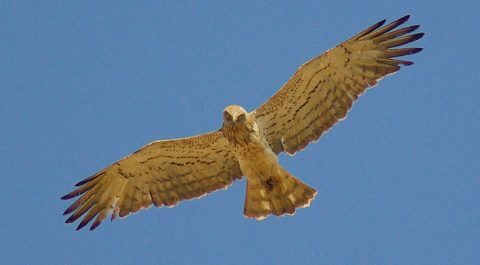 The geographic location of the Sagres peninsula on the far southwest of Europe and close to the western coast of Africa attracts hundreds of migratory soaring birds in late summer and autumn during their flight to the African continent. Most of the birds observed are juveniles reconnoitring possible routes to cross over to Africa, subsequently using the Strait of Gibraltar as their migration corridor. Soaring birds fly through ascending thermal currents. They use them as a means to gain altitude and in this way make long voyages with low consumptions of vital energy. The most common species in this location are the Griffon (Gyps fulvus), Black Kite (Milvus migrans) and Shorttoed Eagle (Circaetus gallicus). 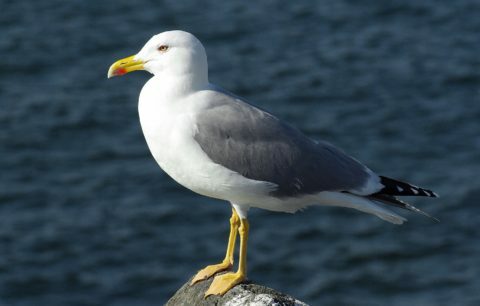 The geographic location of the Sagres peninsula, together with the abundance of available food from the ocean around it, attracts a great number of species of seabirds. The coastal cliffs are used as nesting shelters and supports for the Common Shag (Phalacrocorax aristotelis) and the Yellow-Legged Gull (Larus michahellis). During late summer and autumn thousands of birds migrate to the south of the Atlantic flying from nesting areas in the north of Europe. Some species, such as the Alcatraz (Morus bassanus), remain throughout winter in the Algarve region. The existence of a number of rocky habitats appeals to several rupicolous species, i.e., birds that use cliffs and rocky outcrops as nesting areas. 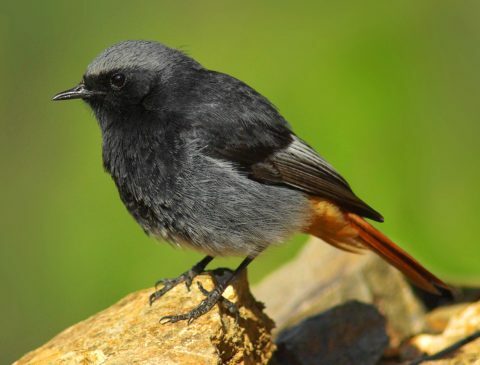 The most emblematic species are the Peregrine Falcon (Falco peregrinus), the Black Redstart (Phoenicurus ochruros) and the Blue Rock Thrush (Monticola solitarius), which, in addition to being observed throughout the whole year, nest in the Algarve region. The rare Red-billed Chough (Pyrrhocorax pyrrhocorax), although it does not nest locally, may be spotted on a regular basis. The habitats on the Sagres promontory consist especially of vast areas of scrubland with small pockets of shrubs. 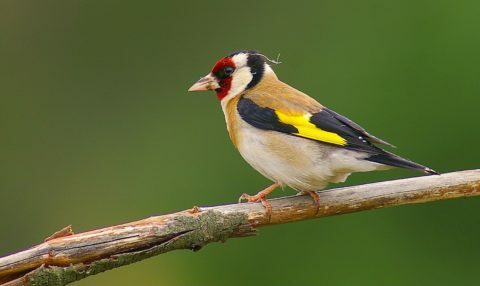 Thus, the species of nesting birds are those that locally adapt to this type of landscape and those seen in the open areas are, for example, the Crested Lark (Galerida cristata), the Common Linnet (Carduelis cannabina) and the Goldfinch (Carduelis carduelis). In the shrub area, the most common are the African Stonechat (Saxicola torquata), the Sardinian Warbler (Sylvia melanocephala) and the Zitting Sisticola (Cisticola juncidis). The Sagres area is marked by the autumnal migration of thousands of birds coming from the centre and north of Europe. During the months of September and October on days with an east wind, several hundreds of species may be observed in the course of a few hours. A high number of species remains in the area in the winter months, taking advantage of the favourable climate in the Algarve. 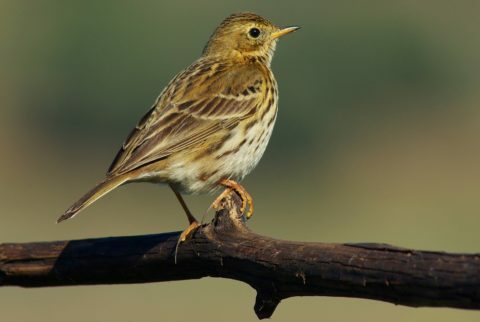 These include the Meadow Pipit (Anthus pratensis) and the Chiffchaff (Phylloscopus collybita).